Learn more about the home you’re about to buy or the home you’re about to sell. Keep your employees safe with an inspection that tests for issues with your structure, electrical system and HVAC system. Test for harmful environmental issues like mold, asbestos and radon. You can also learn more about the soil and water quality at your property. Take a comprehensive look at the issues facing your home or commercial property with our infrared thermography technology. If your building is over three stories high, a drone inspection is a great way to get a thorough, inexpensive and safe roof inspection. Ensure your home’s safety and have a certified home inspector test your space for this odorless and colorless gas before it causes serious health problems. You may not know it, but your soil could be contaminated. Having it tested will keep you informed of its health, growth potential, and also allow you to know how much lime and fertilizer it requires. Asbestos exposure can lead to serious health risks including respiratory problems. If your home was built before 1990, there is a good chance asbestos was used for insulating. A certified home inspector in Stratford, CT can test your home and determine whether or not asbestos is present. It doesn’t take much for mold to flourish in your home or office, especially if a leak or flood has occurred in the past. There are a variety of different mold types that Fact Finder Inspections can test for in Stratford, CT. If you’re thinking of buying or selling a property in Stratford, Connecticut and surrounding areas, you’ve probably been told that you need an inspection first. Fact Finder Inspections makes it quick and easy to get your home inspected for a number of common issues. Our inspectors work fast, and we upload everything to a private YouTube channel as well as send you a comprehensive electronic report. Not to mention, our inspectors speak both Spanish and English for your convenience. Are you ready to learn more about your property? Schedule your inspection in Stratford, CT or surrounding areas today. What will your inspector look for? We offer commercial and residential home inspections for home and business owners in the Stratford, Connecticut and surrounding areas. Call 203-952-4583 to speak with an inspector about any particular issues you’re worried about in your Stratford, Connecticut and surrounding areas home or commercial property right away. Fact Finder Inspections has been in business since 1999. In 2013, our owner purchased the business from his father and turned us into the company we are today. Currently, we have two inspectors on staff with 25 years of experience between them. We’re nationally certified infrared thermographers and drone photographers. Our business is located in Stratford, CT, but we can travel up to 60 miles outside of the area to our clients. 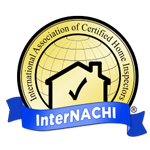 Contact us today to learn more about our talented inspectors or to schedule an appointment.